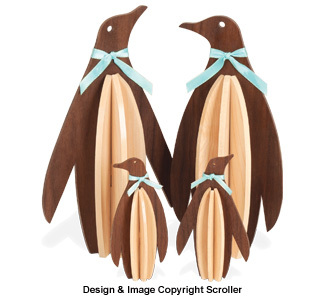 Adorable mixed hardwood designs will be loved by Penguin collectors! A must-have new product for scroll sawing! This brand new two-sided adhesive tape works double duty---it quickly and cleanly adheres intricate scroll patterns to wood AND lubricates your scroll saw blade during cutting (which increases cutting speed and virtually eliminates unsightly scorching). 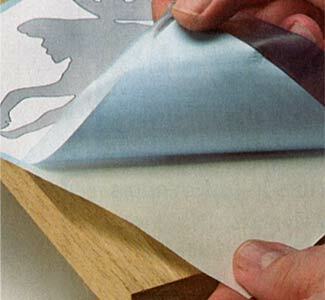 The adhesive layer peels off easily, leaving your delicate scroll saw work intact, with no annoying residue like spray glues. Once you experience the ease and convenience of using this new "Stick and Release" Scroll Saw Tape, you'll wonder how you got along without it! Available in 8-1/2" wide rolls in two convenient lengths.